Application: TORX socket screws for drone Mount repair and installation. The Kraftform Micro Series screwdrivers are the ideal screwdriving partner for electronic or precision engineering applications. The highly precise Wera three-zone concept reduces fastening time and distinctly lowers the cost for each screw connection. The Wera Drone Repair Mount & Installation Tool Kit is one of thousands of quality tooling products available from MRO Tools. 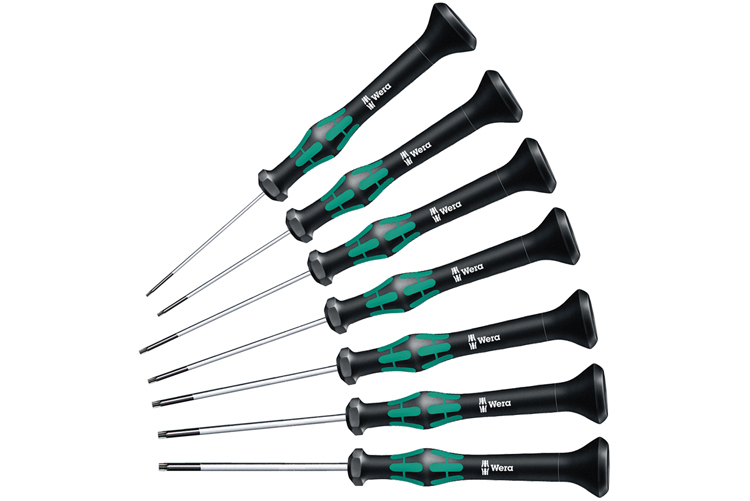 Please browse Wera Kraftform Micro Series Screwdriver Sets for tools similar to the Wera Drone Repair Mount & Installation Tool Kit. 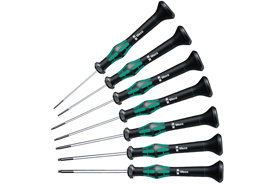 Wera Drone Repair Mount & Installation Tool Kit description summary: The Kraftform Micro Series screwdrivers are the ideal screwdriving tool for drone mount repair and installation. The highly precise Wera three-zone concept reduces fastening time and distinctly lowers the cost for each screw connection. Quantity discounts may be available for the Wera Drone Repair Mount & Installation Tool Kit. Please contact MRO Tools for details.